When you are looking for a sustainable means to produce your own clean and fresh food, aquaponics gardening can do many wonders. You will be able to grow healthier and more scrumptious crops while raising a variety of fish at the same time. So imagine being able to harvest some fresh vegetables for your salad and some clean fish to complete the meal–all straight from your own backyard. Isn’t this a fun and productive way to deal with the global concern on food shortage and extensive drought? Aquaponics is the combination of intensive aquaculture and hydroponics, and is considered as one of the most efficient food production systems. Since hydroponics is incorporated into this system, there is no need for any soil to grow any plants that you want. You will be able to “re-circulate” the water being used eliminating the pricey nutrient costs and other expenses. 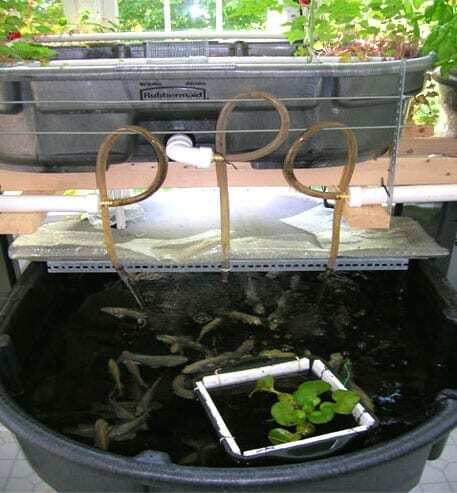 In essence, aquaponic gardening is all about the cycle between fishes and plants. It’s a sustainable and efficient process of raising aquatic animals along with the development of some hydroponic plants. There is a series of interaction revolving around the fishes, bacteria and plants so make it a point that you understand the entire process, because a failure in one aspect can lead to another. The negative aspects of aquaculture and hydroponic gardening are cancelled out when both systems are combined to form the so-called aquaponics system. 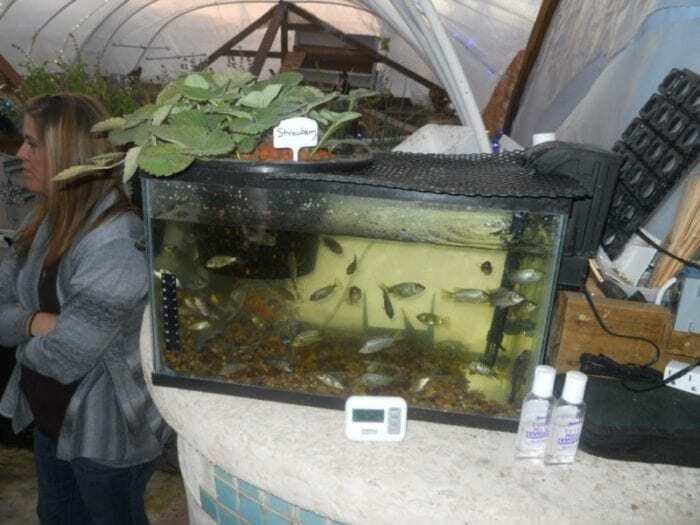 The symbiotic relationships formed in an aquaponic system create some kind of a controlled ecosystem that increases the level of production, unlike when individual methods are used. Growbeds filled with a growing media such as expanded clay pebbles or gravel is a common method used to grow plants in such system. But many other methods used in hydroponics such as the NFT (Nutrient Film Technique) can also be adapted to aquaponic gardening. You may even grow plants in foam rafts that sit on the water surface. The water pumped up from the fish tank trickles down through the gravel-filled growbed. As it passes the roots of the plants, the water and nutrients needed by the plants to grow are then extracted. This cleans the water and is sent back to the fish tank. Instead of giving your plants some expensive nutrient solution, you will be using the fish wastes or some nitrates converted from ammonia. Normally, fishes give off ammonia through their gills. Any fish wastes or uneaten food also gives off ammonia as part of the process. The ammonia wastes from the fish along with some uneaten food that breaks down in the tank should be discarded to prevent toxicity. But rather than to simply wash it out, the bacteria that lives on the gravel or on the surface of the tank converts the waste into nitrates which can be consumed by the plants to grow at their best. This conversion is often referred to as “The Nitrogen Cycle”. So in a nut shell, there is no need for you to get rid of the water from the fish tank to deal with the toxicity or to keep the water clean. The water with some high level of ammonia is filtered by the plants and is then returned to the fish tank freshly oxygenated and cleaned of excess nutrients. An aquaponic system is more efficient in the use of water as it entails constant reuse and recycling. You get to produce chemical-free and more delicious crops. You can also serve as one of the sources of fresher and healthier local produce. You won’t need some expensive hydroponic nutrient to nurture your plants. It is an excellent learning and earning resource for the family. You can save some money because you won’t have to buy commercial goods all the time. Even inexperienced gardeners can build their own aquaponics garden. You can come up with a DIY hydroponics garden and then incorporate a simple yet productive aquaculture system. 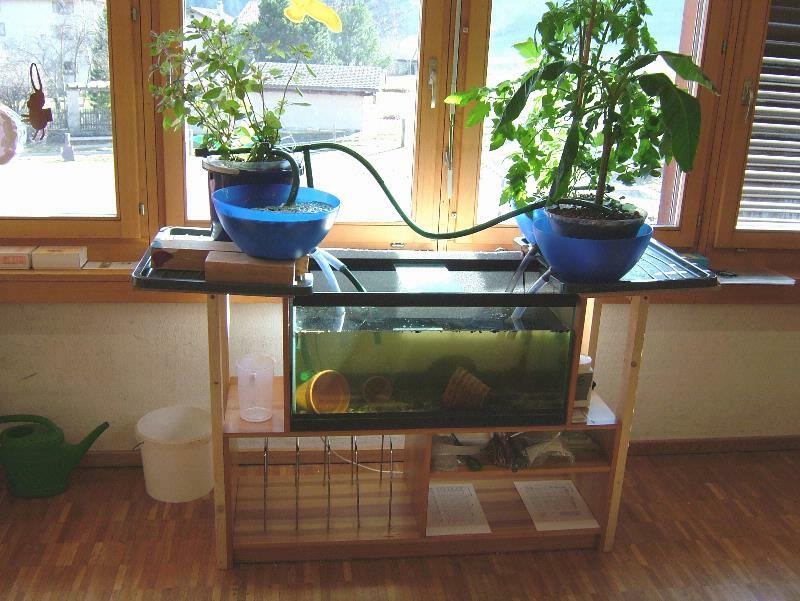 It may seem complicated to set up an aquaponics system. However, with sufficient and accurate information, you can surely start and maintain a really productive garden. Learn more about this endeavor before deciding to get started. Make sure that you understand the entire Nitrogen cycle and the aspects that are important to fish health. Research well and be very patient. More importantly, always remember that it pays to keep things simple. So start slowly but surely.